Bangkok, 14 March 2013. CITES (Convention on International Trade in Endangered Species) plenary today accepted Committee recommendations to list five species of highly traded sharks, the oceanic whitetip, porbeagle and three species of hammerheads (great, smooth & scalloped hammerhead) under the CITES Appendix II. 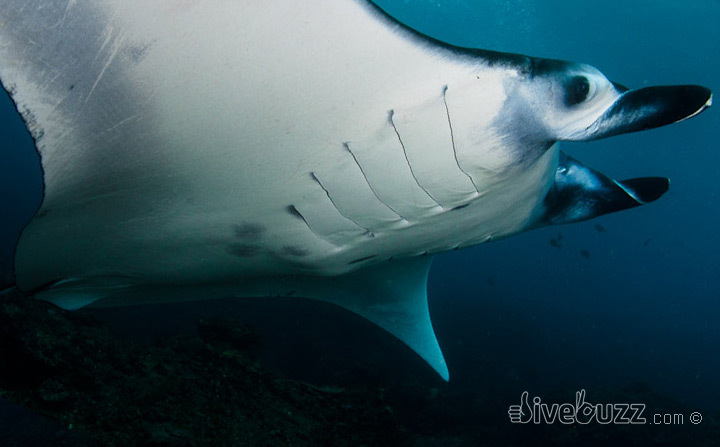 Both types of manta rays [Manta birostris (the giant manta ray) and Manta alfredi (the reef manta ray)] also gained protection under Appendix II, and one species of sawfish gained additional protection. Japan, backed by Gambia and India, unsuccessfully challenged the Committee decision to list the oceanic whitetip shark. Japan requested a secret vote, and the proceeding vote narrowly missed out on the required 1/3 of votes to reopen the discussion – at 32.12% it was a very close call. Meanwhile Grenada and China also narrowly failed in an attempt to reopen debate on listing the three hammerhead species, by a vote of 29.14%. Colombia, Senegal, Mexico and others took to the floor to defend Committee decisions to list sharks. The manta rays, porbeagle shark and freshwater swordfish proposals were all adopted without opposition. The oceanic whitetip shark, porbeagle, three species of hammerheads, and both manta rays – all classified as threatened on the IUCN Red List – will now be added to CITES Appendix II, which prompts permits to ensure exports are sustainable and legal. The only sharks listed under CITES previous to this meeting – basking, whale, and white sharks – are not taken in the high volumes associated with the newly listed sharks. The freshwater sawfish will be transferred from Appendix II to I, where all other sawfishes are listed, thereby completing a global ban on international commercial trade in these critically endangered species. Proponents of the various listing proposals include the 27 Member States of the EU, Australia, Brazil, Colombia, Comoros, Costa Rica, Croatia, Ecuador, Egypt, Honduras, Mexico, and the USA. The shark and ray proposals received more than the two-thirds majority of votes necessary for adoption while the sawfish listing succeeded by consensus. The German Elasmobranch Society, Humane Society International, Project AWARE, Shark Advocates International, Shark Trust, and Wildlife Conservation Society worked as a coalition to promote the shark and ray listing proposals. Now begins an 18 month implementation period, and the inevitable challenges of implementation, before these listings come into effect. Let’s hope it isn’t too little, too late.